The early morning light is ideal for shooting the bridge because it illuminates both of its towers and the Manhattan skyline behind it. 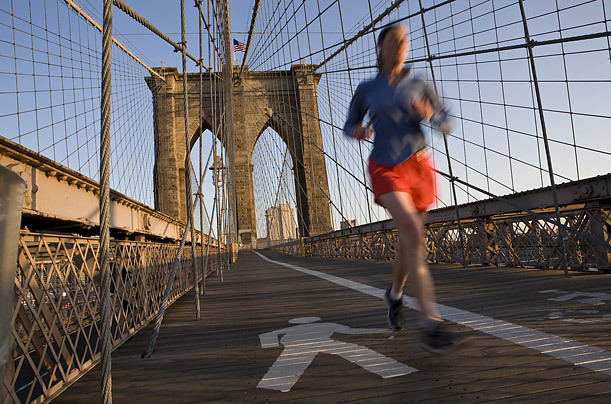 To capture the motion of this jogger, our photographer, Katja Heinemann, set the shutter at about 1/30 of a second. Slower shutter speeds won't work, she says, because the bridge quivers too much from the trucks that rumble underneath.